Collaboration between Genetics Institute faculty Edward Braun and Rebecca Kimball is producing a veritable flock of papers. 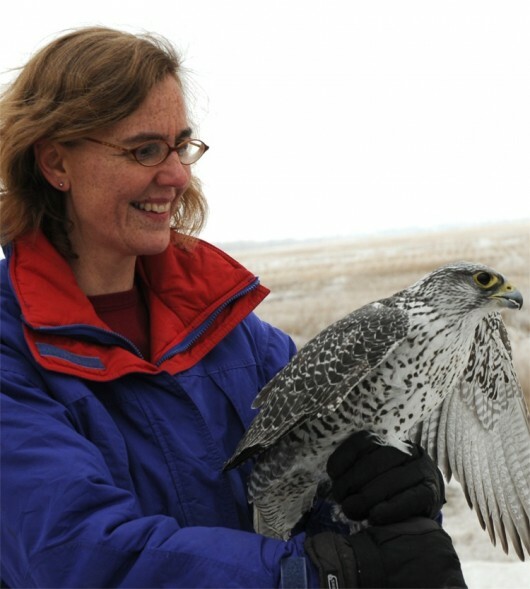 Braun, an associate professor, and Kimball, a professor, both in the department of biology, have three papers out in February publicizing results related their research of galliformes– the order of birds that includes chickens, pheasants, turkeys, grouse and ptarmigan. “The big interest all three of us have is understanding the tree of life” Braun said. Constructing the avian tree of life– a diagram tracking the evolution and relationships between all known bird species– requires analyzing how species developed within the order. 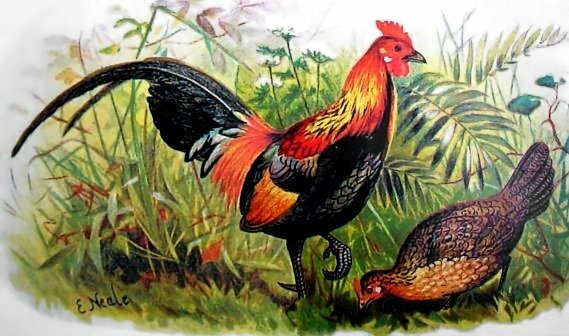 For example– one species will split into two distinct species, and then one of those species might split again. They try to determine what causes these speciations– whether geographic movement, evolution or something else. However, it’s no easy task to reconstruct evolutionary trajectories over long spans of time. So they turn to genetic analysis. A paper authored by Nicholas Persons, an undergraduate student, analyzed five hypotheses proposed over the last 15 years for how species of grouse are all related. That paper was published in Molecular Phylogenetics and Evolution, and can be accessed here. 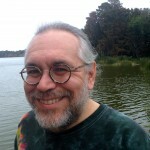 All the research groups that proposed these theories tested them using data derived from molecular sequencing, and came to different conclusions– resulting in an unclear picture of historical relationships. 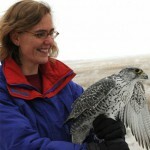 In response, an undergraduate student from Braun and Kimball’s lab took advantage of improved technologies for genetic sequencing, often called “next-generation sequencing;” combined the results produced by those technologies with data collected using older technologies; and used those data to produce a much better understanding of how different species of grouse are related, Kimball said. This improved understanding of relationships among grouse species allowed the research team to trace their movements over evolutionary time. 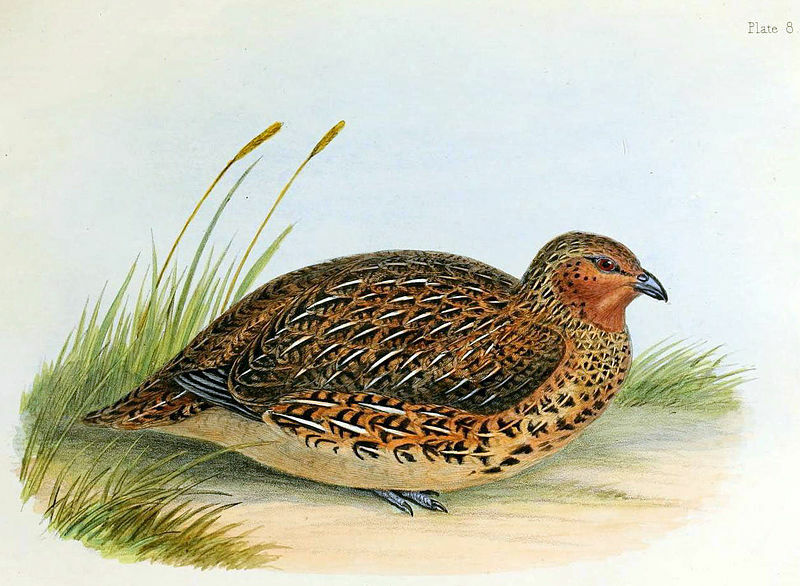 Their biogeographic analysis suggests that “the ancestors of grouse and ptarmigan were distributed in the New World and subsequently underwent at least four dispersal events between the Old and New Worlds,” according to the abstract. Another paper from the lab addressed issues demonstrated in the Molecular Phylogenetics and Evolution paper– how developments in technologies force researchers to re-assess how they compute data. New methods allow for expanded analysis, but they present problems of their own. During the study, published in Systematic Biology, they looked at the results different analytical approaches yielded, and found certain popular methods were vulnerable to error. “Although we can now produce huge amounts of data, all of these problems- different species accumulate mutations at different rates- sometimes speciation events are very fast- one splits into two, then the descendants split- this is difficult to reconstruct,” Braun said. Another problem derives from how new species originate by the splitting of ancestral species. When a new species develops during evolution, it’s not because one male-female pair broke off. It’s typically a small group that evolves together. Some of the methods tested for analyzing data produced by ultraconserved element sequence capture included MP-EST, ASTRAL, Triplec and SMRT-ML. These methods can deal with the analytical challenges. the program may produce a wrong answer with a high degree of certainty, Kimball said. The third paper, published in Molecular Biology and Evolution, took findings from previous research, and expanded the scope. During prior studies, the research team analyzed the genetics of a dozen or so species. In this stage, they bumped it up to 90. “Instead of just using a subset of the data, we really threw everything we had at it,” said Peter Hosner, a post-doc in the lab. It was important to stretch the capabilities of the system. The sequence capture method they used can sometimes miss genes, though the specific genes that are missed appears somewhat random. Hosner wanted to understand why some genes were missed, and determine whether the missing data mattered for downstream analyses. Regarding why some genes were missed– Hosner found quality of the sample was a consistent issue. While fresh skin samples are available for many of the species they study, they are not available for all of them. To expand their collection of genetic data, they must occasionally rely on samples preserved in museums. However, even decades-old museum specimens can yield fairly large amounts of data. This is important for efforts to complete the tree of life. However, others yielded less reliable results. Hosner wanted to know whether their analysis programs could accept data with these kinds of complications, and provide results that had a high degree of accuracy. He found that some did not. However, others performed fairly well. This information is likely to provide guidance for other researchers using similar methods to collect data. These projects were funded by National Science Foundation grant DEB-1118823.